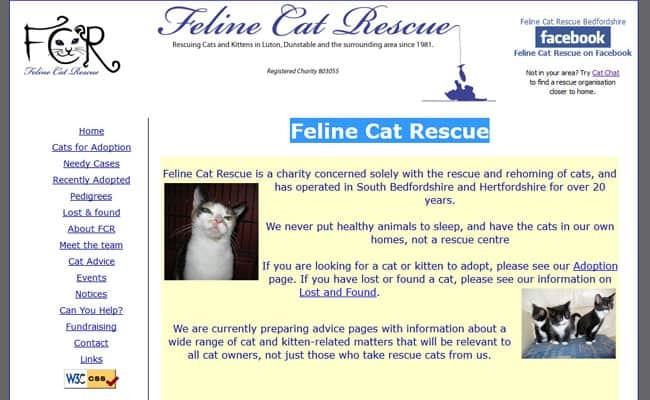 Feline Cat Rescue, Luton – The Feline Cat Rescue in Luton is involded exclusively with the rescue and rehoming of cats, and has operated in South Bedfordshire and Hertfordshire for over 20 years. We never put healthy animals to sleep, and have the cats in our own homes, not a rescue centre. We are always looking for both temporary carers and permanent homes for our cats and would love to hear from you! We urgently need more foster homes, especially in the kitten season. If you foster for us we will supply food, litter and pay all vets bills and one of us is always there to help with queries and to give help and advice. You will never be left to just “get on with it” alone. We urgently need more foster homes, especially in the kitten season. If you foster for us we will supply food, litter and pay all vets bills and one of us is always there to help with queries and to give help and advice. You will never be left to just "get on with it" alone.